Ford India Private Limited (FIPL), a completely owned subsidiary of American multinational auto maker Ford Motor Co., is just few weeks away from the launch of its EcoSport Compact Sports Utility Vehicle (SUV) in the domestic car market. Pegged as the most anticipated new model launch of 2013 calendar year, the Ford EcoSport is believed to change fortunes of Ford in the country. 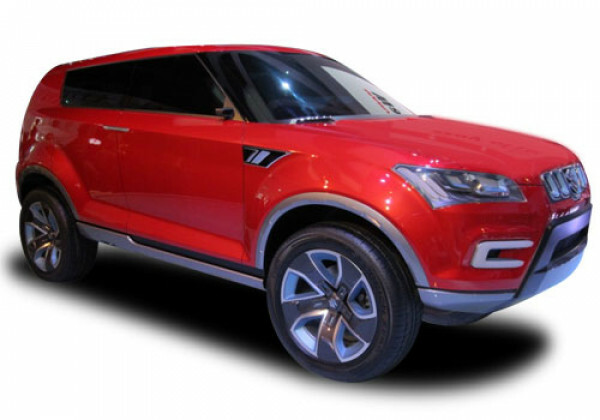 Interestingly, Maruti Suzuki India Limited (MSIL), the country’s largest passenger car maker, is developing a compact SUV called XA Alpha for the Indian audience, which expected to see Indian daylight somewhere in the near future. Accordingly, some fireworks are expected when the two Ford and Maruti Suzuki models get involved in a direct face off in the domestic car market. Coming to under-the-hood specifications of upcoming Ford EcoSport, the compact SUV will be powered with the critically acclaimed 1.0 litre Ford’s EcoBoost diesel powertrain, which can churn out a peak power output close to 120 bhp. The USP of the 1.0 litre EcoBoost engine is going to be its best-in-class fuel efficiency and power/torque performance, as compared to its direct rivals. On the other hand, yet-to-be launched Maruti Suzuki XA Alpha is expected to come fitted with a K-Series engine in its petrol variant and a Fiat-sourced Multijet powering its diesel avatar. The power outputs are believed to fall in the range between 90 bhp and 110 bhp. Indian car enthusiasts are price sensitive consumers and therefore, pricing plays a vital role in deciding future of a new model in the domestic auto market. Sources suggest that the Ford EcoSport compact SUV could be introduced around a price bracket of Rs. 10 lakhs in the country. The American auto major has pinned great many expectations from its little beast and hoping for a complete turnaround in the market, because of the promising prevalent trend of investing in small SUVs among Indian car enthusiasts. Ford EcoSport and Maruti Suzuki XA Alpha to compete soon in Indian auto market. Maruti Suzuki XA Alpha model will carry aggressive pricing as well, however could be offered to domestic audience at a slightly modest pricing than Ford EcoSport. At present, Renault Duster and Mahindra Quanto are the star performers in the compact SUV segment and both Ford India and Maruti Suzuki will be hoping to replay their successes with their own models in the Indian auto market.